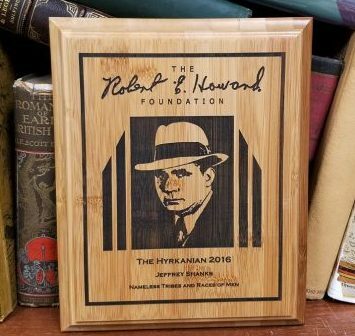 The winners of the 2017 Robert E. Howard Foundation Awards were announced June 10 at Howard Days. The awards honor the top contributions in Howard scholarship and in the promotion of Howard’s life and works from the past year. The winners were determined by vote of the REH Foundation members. This entry was posted in Awards and tagged Robert E. Howard Foundation Awards by Mike Glyer. Bookmark the permalink.